We have it! 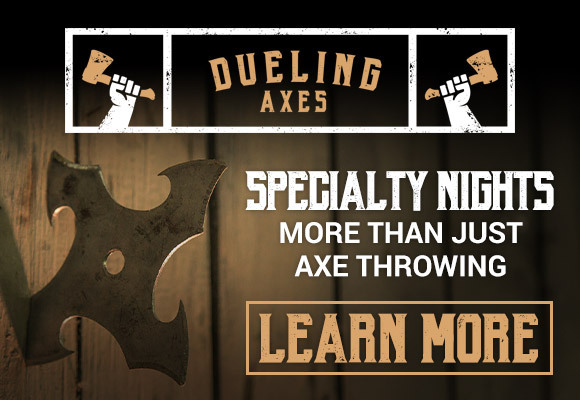 Check out Dueling Axes specialty throwing nights and bring your primal desires to life. Hosted monthly, don’t miss out on your chance to throw a variety of blades down range. Compete with friends and colleagues or against your significant other. It will be the most unique experience your group will have for some time. Make sure to check our specialty night calendar often because blade types and dates change monthly. Reservations for specialty nights are highly recommended, make sure you don’t miss out! Participate in the next specialty night here!